July 21, 2017 - Chaya Esther Salomon was one of three family members murdered in their home in the West Bank settlement of Neve Tzuf-Halamish on Friday night. 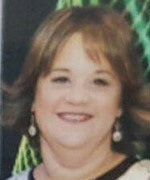 Chaya Esther Salomon, 46, of the West Bank settlement of Neve Tzuf-Halamish, was one of three victims from the same family who were murdered in a terrorist attack in their home on Friday night. The two other victims were her father Yosef Salomon and her brother Elad Salomon. Tova Salomon, 68, Chaya’s mother, was wounded in the attack. Chaya, a schoolteacher in Lod, was devoted to her students and recently received a commendation for excellence. She is survived by her mother and three siblings. Accompanied by thousands of mourners, she was laid to rest along with her father and her brother on Sunday evening (23 July 2017) in the Modi’in cemetery.